Today, we are headed to Paraguay, one of the two landlocked countries of South America with Bolivia, for a traditional cheese bread called chipa and the particular version called chipa argolla. Chipas are cheese and anise seeds breads that are often sold in baskets on the roadside in Paraguay. These small, savory breads are sold by the bagful for under a dollar by street vendors known as chiperas. Chiperas have helped to transform the chipa into an identifying symbol of Paraguay throughout Latin America. The primary ingredient of chipa is manioc flour, ground from a tuber that is also known as mandioca, yuca, cassava, and tapioca root. 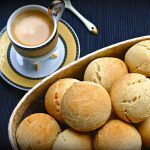 Those chipas are similar to Colombian pan de queso, or Brazilian pao de queijo, the famous cheese bread from the state of Minas Gerais. 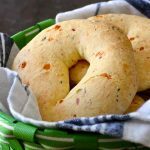 With the same cassava flour, you can also make Brazilian breadsticks called biscoito de polvilho or our feroce d’avocat from the French West Indies. When it is only made with cassava flour, it is referred to as chipa de almidón. 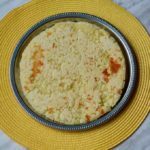 However, a number of recipes use both cassava flour and corn flour. The corn flour that is used for chipa is not the same as the one used for Mexican tortilla, which is nixtamalized corn flour, also called masa harina over there. Instead, it is standard fine corn meal, similar to the one used to make polenta. Chipas are definitely a national institution in Paraguay. The town of Coronel Bogado, which is the capital of chipas, even hosts an annual festival of chipas. The word chipa comes from the Guarani language and it generally means cake or bread. Guarani is the language spoken by 70% of the Paraguayan population, but the term also refers to the Paraguayan currency and the ethnic group. The Guaranis are an indigenous people from the Amazon regions of Brazil, Argentina and Paraguay. Only the Guaraní people occupied the Latin American area before the Spanish colonization began in the fifteenth century. But in addition to this community that has always lived there, there are now descendants of Spaniards, Germans, Dutch, Amish who came from Eastern Europe in the 1920s or even Italian immigrants in the 1940s. This melting pot has obviously had a significant influence on the Paraguayan culinary specialties. Chipas are just the perfect illustration. 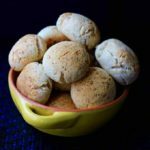 You can actually trace the origin of these breads back to Jesuit historical documents from the colonial era where this Guarani specialty made of cassava or maize flour is often cited. But it was not until the introduction of livestock in these Jesuit missions areas, with new products such as beef, lamb, milk, eggs or cheese in the Indian diet, that we saw this ancient recipe changing with the addition of milk, butter, lard, eggs and cheese. 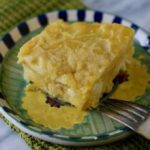 One thing for sure, the traditional recipe of chipa does not contain yeast or baking soda, although modern versions of the recipe include baking soda to make the bread a little lighter and more airy. Today, chipa is part of the culinary heritage of Paraguay, but there is a specific time of the year during which it is produced and consumed heavily. This time is during the Holy Week before the Christian festivity of Easter. During this week, it is indeed customary to prepare and deliver chipas to family and friends. This gesture is a testament to generosity and friendship and it seems that there is not one Paraguayan who doesn’t participate in these traditional exchanges. On the day of the dead, people also distribute chipas and sweets to children inside the cemetery in the name of their ancestors. This is reminiscent of guaguas de pan, another South American delicacy that is offered on El día de los difuntos (Day of the Deceased) in Ecuador. There are quite a few versions of chipas available in Paraguay. Some of the more common include chipitas, a smaller version that is prepared for teatime. Chipa paquita is made with some cornstarch, wheat flour and cheese. Chipa so’o are small rolls, stuffed with egg and minced meat. Chipa mboca is placed on a stick before being baked on hot coal. Chipa asador or chipa kavuré is elongated with a hole in the middle, or chipa guazú (chipa guasu), a popular cake prepared with corn, onion, milk and cheese. 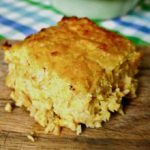 But there are many other chipa recipes in Paraguay! We really loved the chipa argolla at home. Their texture is quite unique. Indeed, they are a little chewy and the association of anise seeds and cheese is also quite unusual. 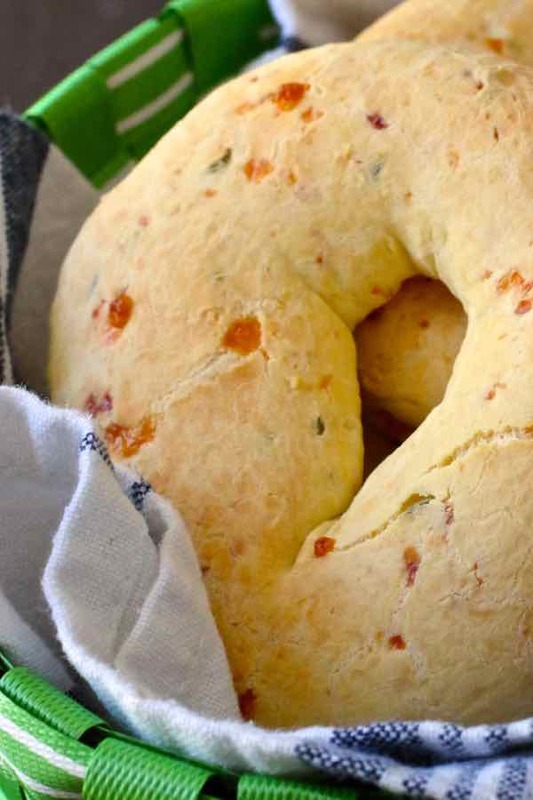 They are definitely not very difficult to make as long as you can find cassava flour! This recipe is validated by our expert in Paraguayan cuisine, Chef Miguel Figueredo. Miguel is the chef of the popular restaurant El Bolsi in Asunción. Chipa is a small traditional cheese bread from Paraguay, which is especially consumed during the Holy Week before Easter. 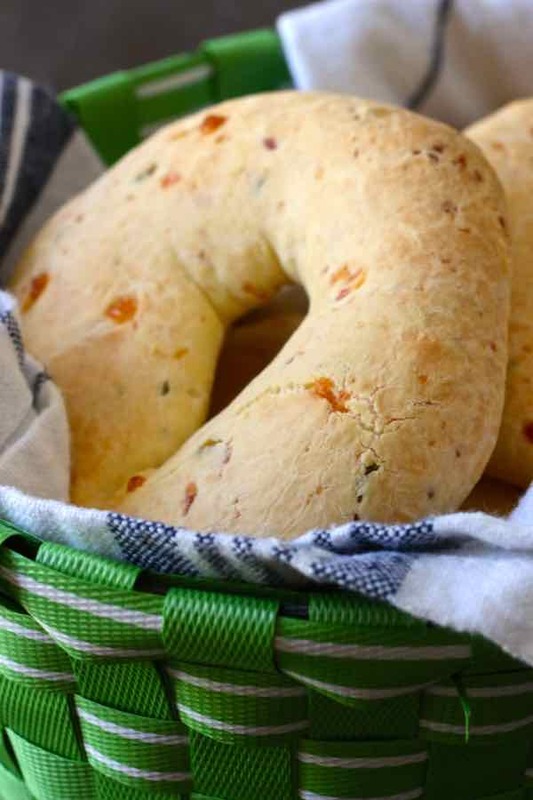 Chipa argolla is the popular ring-shaped version. In the bowl of a stand mixer, add the butter and the eggs. Mix for a couple minutes. 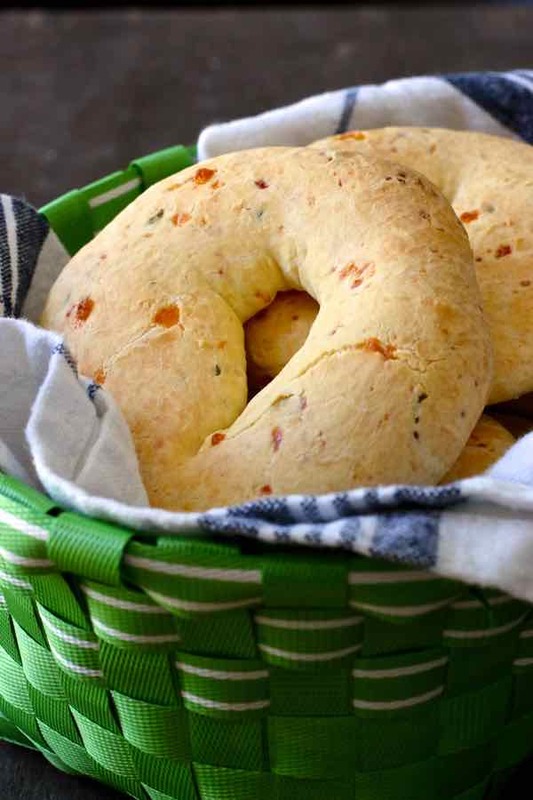 Incorporate the grated cheese and anise seeds. Dissolve the salt in the milk. Add to the mixture. Then, add the cassava flour and corn flour and continue mixing until well combined. Divide the dough into quarters, then divide each quarter into 4 equal sized balls. Cover and chill in the refrigerator for 20 minutes. Roll each ball into a rope of about 6 inches long and ½ inch thick. Bring ends together to form a circle and press to seal. Place 3 inches apart on baking sheets lined with parchment paper. Bake chipas for 20 to 25 minutes until slightly golden. Yum. These look so fun to eat! 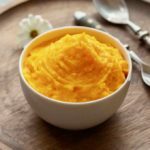 Is cassava flour the same as tapioca flour? Thank you! I’ll definitely try this recipe. Looks delish! Do you serve these with butter or cream cheese? Hey Shannon, what a perfect timing for the question. I actually went to a Latin restaurant in Chicago last night… and I had chipa as an appetizer! Over there, they served it with a sweet potato butter. It was delicious ! Thank you so much for sharing this!! I lived in Paraguay for a while and fell in love with the people and the food! Such a beautiful place! Would you do half and half for the mozzarella and Parmesan?? I used anise star as I was too lazy to take the seeds out.I ended up using coffee grinder to make it powder. Cassava flour was not available in my area, so I used 300 g corn meal (normal), and 140 g chickpea flour instead. Thank you so much for the recipe and all the info about it! Now the bread started to smell 🙂 Happy Easter!! Thanks for sharing, Ally. Glad you liked it, even though the substitutions probably didn’t give the expected end result.